We love this two piece set of kitchen stamps ! 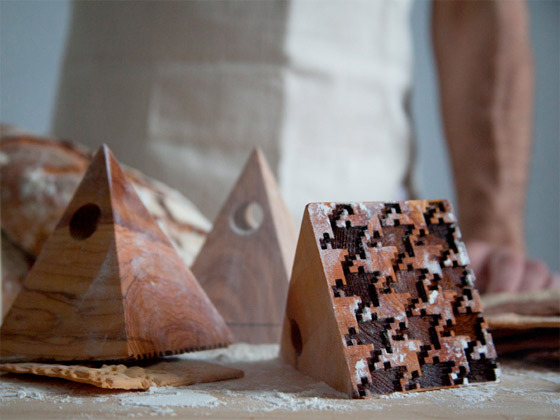 The iconic fabric patterns Pied de Poule and Tweed Herringbone will transform your bread, cookies and pies into small “haute couture” baking marvels. 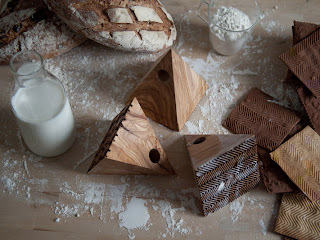 Made out of solid olive wood, they have been designed by STUDIOLAV.